Search is a too often neglected area of SharePoint intranets. With the ever-growing amount of content and information being created, the information architecture - and how search interacts with that architecture - has become hugely important. SharePoint 2013 now offers one integrated enterprise search core. It has a very powerful set of features that allow you to deliver a sophisticated search experience to your users. 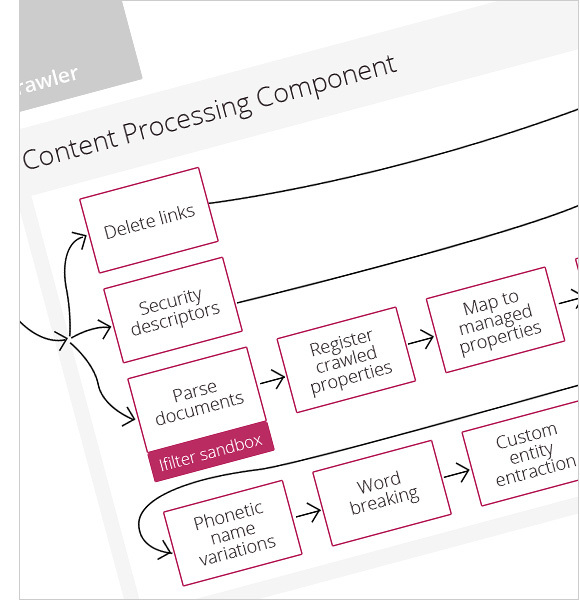 Some examples include: Custom Entity Extraction, where the search engine intelligently groups different data based on your organisation; Continuous Crawl, where the site content is indexed in real-time; and Query Rules, which allow you to create different sets of search results based on the users’ intent when searching. We don't create search results pages as an afterthought. For us, it is a core aspect of delivering a fantastic user experience - one that people will not only find usable, but surprisingly useful and enjoyable.